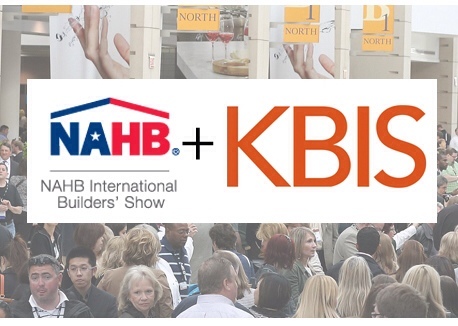 In 2014 for the first time IBIS, the International Builder Show, “co-hosted” and shared their exhibit space with KBIS, the Kitchen and Bath Industry Show. 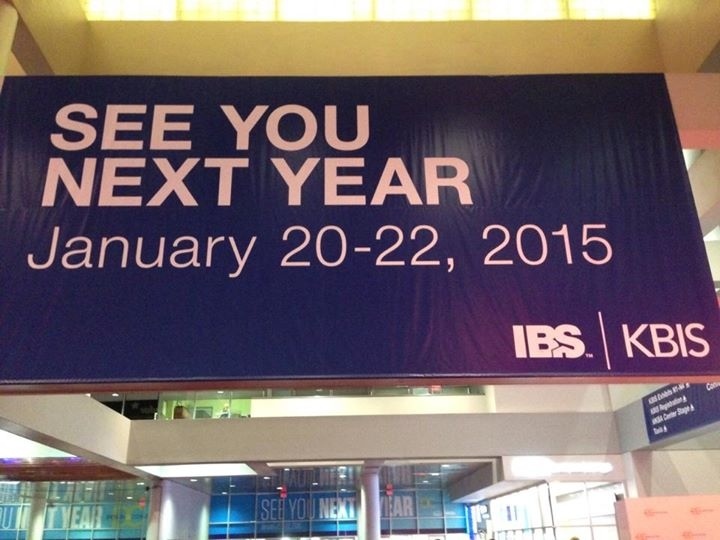 On Feb. 4-6, KBIS occupied the North Hall with IBS being in the Center and South Halls at the LV Convention Center. By nearly every measure the co-location was a big success. KBIS recovered from the near fatal disasterous shows of the last few years, and IBS continued its recovery with cautious optimism. Yes, there is still much room for improvement. Some key appliance manufaturers are not on board. GE and Whirlpool were noticeable by their absence. However, the combined attendance was projected to be 75,000 – to me it felt like all of that if not more. 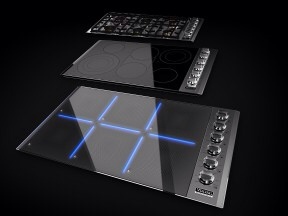 In appliances, Electrolux/Frigidaire and Bosch/Thermador made a splash with their exhibits. Viking, under new ownership, showed the most new products and their booth was constantly packed. 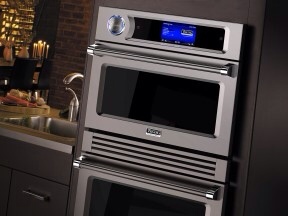 Dacor shared a tiny space with a cabinet manufacturer yet walked away with 3 KBIS awards including Best of Show for appliances. Here are some of the highlights of my two days on the show floor. Viking's new owner, Middleby, strutted their stuff with a Viking brand version of the TurboChef Speed Oven. In addition, Viking showed a French-Door wall oven, a new built-in refrigerator line with huge hinges and soft-touch drawer closing, their new professional range, and a 6 zone induction cooktop. Viking showed over 50 new products at the show. Bosch and Thermador, sister companies under the BSH flag, shared part of a booth on the IBS floor. Bosch is launching a redesigned line of kitchen appliances featuring new wall ovens with a clean european aesthetic befitting the Bosch heritage. 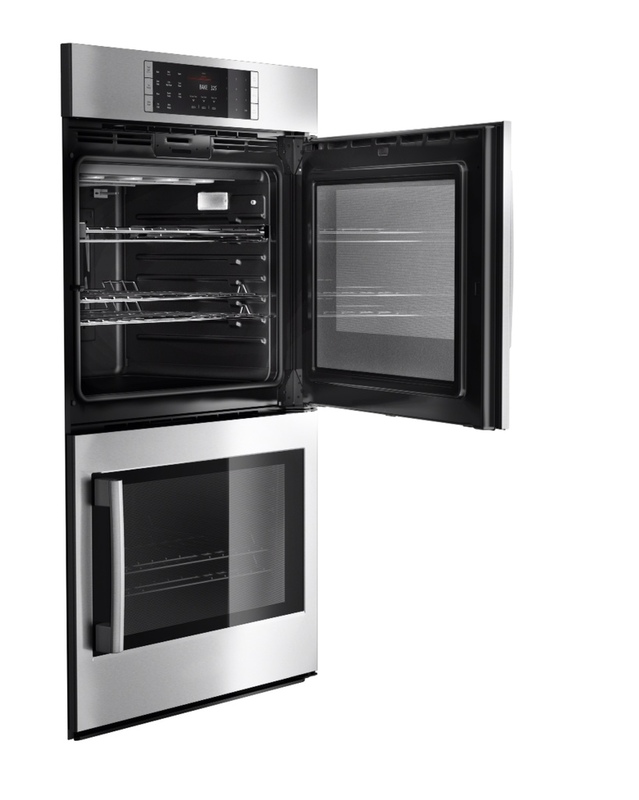 The sleek looking ovens are designed to be flush mounted, and may be purchased with conventional drop down doors or right or left side swing doors. The side swing door ovens are ADA approved. 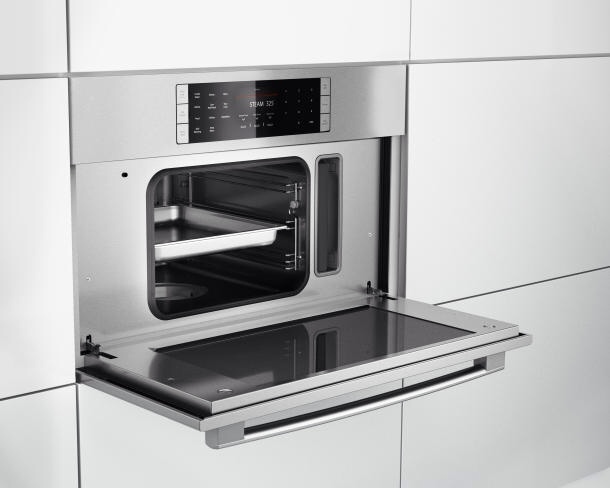 Bosch is also adding a steam convection oven that Bosch says is the first steam convection oven in a Mass Premium brand. Thermador added a new grill option to the all-in-one Thermador ProGrand Range that they introduced last year. 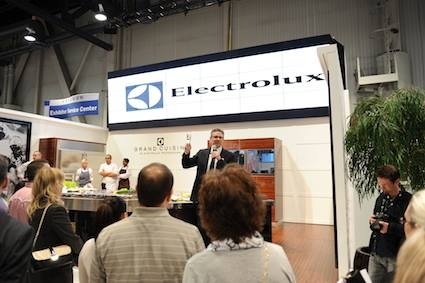 Electrolux had the largest booth of any major appliance exhibitor. Electrolux showed a new stainless-steel dishwasher with 14 wash cycles and a 30 minute wash cycle, and a freestanding induction range. 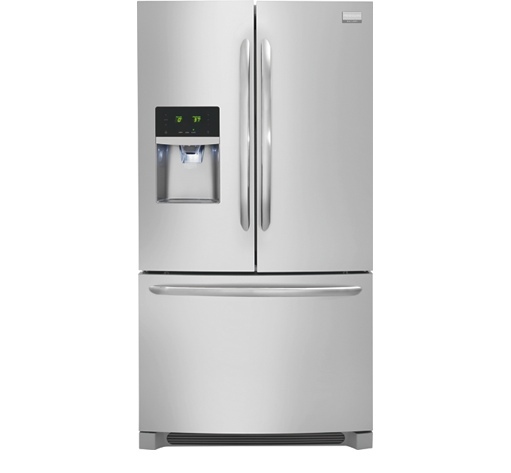 Their Frigidaire Gallery brand touted Smudge-Proof stainless steel. I put it to the test with my oily hands and was unable to get even a trace of a fingerprint. Of course, there were the usual ancillary products such as Vent hood manufacturers that literally ran the gamut from A (AirKing) to Z (Zephyr), and some impressive specialty brands including Liebherr and True Professional. Too much to cover in one blog even though appliances are in fact just one part of these two shows. Stay tuned to future posts on this blog with news about LG's stunning performance at IBS, and more. This entry was posted in Appliances, IBS, Trade Shows and tagged AirKing, appliances, Bosch, builder, Dacor, Electrolux, Frigidaire, Frigidaire Gallery, GE, IBS, International Builders Show, KBIS, Kitchen and Bath Industry Show, LG, Liebherr, Middleby, NAHB, NKBA, Thermador, True Professional, Turbo Chef, Viking, Whirlpool, Zephyr. Bookmark the permalink.